Radisson Blu Hotel, Golden Lane, Dublin. Saturday, 28th November 2015. The event was opened by Big Stories director Neasa Hardiman, who outlined the aims behind the project. Teresa McGrane spoke on behalf of the Irish Film Board before Stephanie Comey outlined the BAI’s interest in the initiative. The day featured two extended lectures by international leaders in the field. 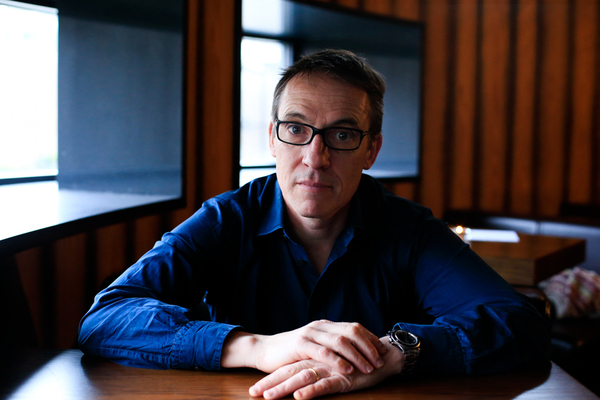 First to speak was John Yorke. John is a drama producer, author and teacher with a long and illustrious career in television. John was Head of Channel 4 Drama before joining the BBC as Controller of Drama Production. Until recently, John was Managing Director of Company Pictures, overseeing dramas as diverse as Shameless, Life on Mars, Bodies and Wolf Hall. John’s book on screen storytelling, Into The Woods, is the UK’s bestselling book on narrative structure. John’s lecture was a skilful analysis of why tell stories, and why screen storytelling works. He examined successful and unsuccessful dramas, drawing out key concepts in relation to quality dramatic storytelling. John made a distinction between the recent success of the serial form, as distinct from the more traditional television drama series. After a short break, the creative team behind successful Irish drama Love / Hate took to the stage. A clip of their discussion is below. Chaired by producer Katie Holly, the panel comprised executive producer James Flynn, producers Suzanne McAuley and Steve Matthews alongside writer Stuart Carolan and director David Caffrey. The discussion focussed on the intense creative collaboration enjoyed by the team. They described their time making the five series of Love / Hate as a “24/7” collaboration, with creative input from every quarter. Stuart Carolan emphasised the importance of being permitted to fail in the context of finding the best creative ideas, and not relying on previously tried and tested dramatic formulae. Big Stories Panel Discussion: Love / Hate from Neasa Hardiman on Vimeo. The keynote lecture for the day was delivered by Michael Hirst. 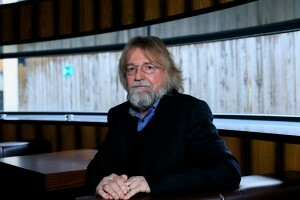 A BAFTA-nominated screenwriter, Michael Hirst’s extensive list of credits includes films such as the seven times Oscar-nominated Elizabeth; Elizabeth: The Golden Age; Uncovered, Fools of Fortune and more. In addition, Michael is creator, head writer and executive producer of several internationally successful television drama serials including The Tudors and Vikings, the History Channel’s first foray into serialised drama. Michael gave a considered, reflective lecture outlining his creative approach in relation to television drama. He illustrated his lecture with clips ranging from dramas as diverse as Rawhide, Cheers and Star Trek. Michael then showed clips from his own work, including the most elaborate and longest battle scene ever staged for television, which screened as part of Vikings. Michael examined the creative work behind such an undertaking, from inception to editing. In so doing, he explored his collaboration with the director, the producer, the production designer and his leading cast. Michael was then joined on stage by his longtime collaborator and producer, Morgan O’Sullivan, as well as by Vikings and Tudors director Ciarán Donnelly. A clip of this panel discussion is below. It was chaired by Emmy-award-winning director Dearbhla Walsh. In conversation with Dearbhla, the team emphasised the collaborative nature of their work together in bringing Michael’s writing to the screen. The close working relationship between Michael Hirst and Morgan O’Sullivan became apparent in their choice to collaborate over several projects, winning repeated commissions from major US networks. Morgan O’Sullivan offered a clear-eyed description of the highly competitive US television market, while Ciarán Donnelly offered insight into the process of pitching television story ideas to American studios. A lively debate followed on the nature and limitations of the current Irish television sector. Dearbhla closed proceedings with the hope that a stronger creative infrastructure in Ireland might offer more creative opportunities for Irish screen professionals at home and internationally. VikingsPanel from Neasa Hardiman on Vimeo.